What is your perception of a road trip? Due to the advancement of technologies, road trips will never be the same again. Begone boring driving on the never ending highways with limited entertainment options. 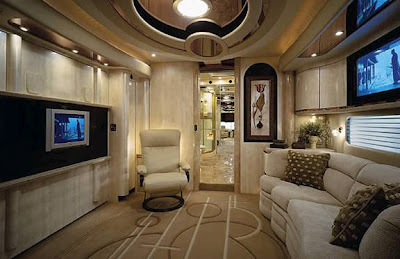 Here some photos of luxury buses; enjoy! 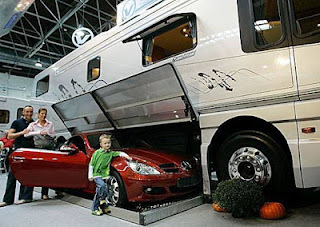 Huge enough to store your car. Exactly like how a house would look like. The living room and kitchen area, equipped with a sofa, massage chairs and complete cooking equipment. 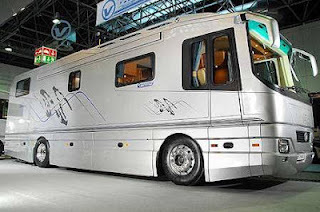 Stay tuned on this blog for more updates about luxury travel. Very nice and wonderful travel bus. 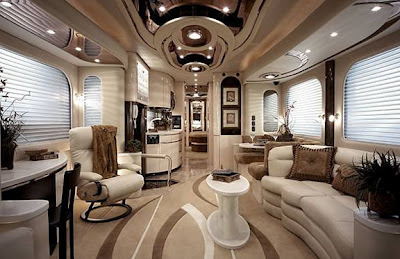 You can get all types of luxurious facility in this blog. 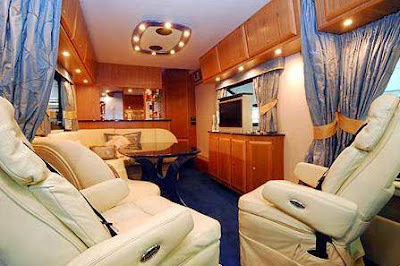 This blog shows you how to get luxury travel at affordable prices. 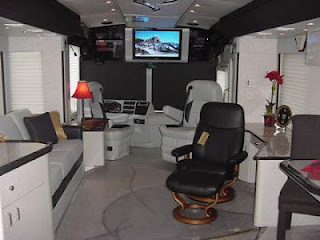 You can go to Luxury Link and bid for the travel packages you need for your choice. 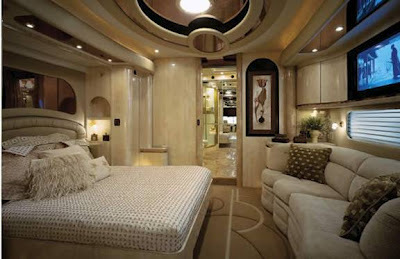 Traveling on RV is really comfortable specially if you're RV is as grand as this. 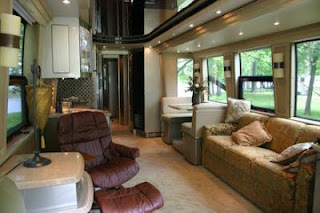 :) I'll be having a trip on New Hampshire this summer and I might use RV when we head off to my cousin's wedding in Stonehurst Manor. 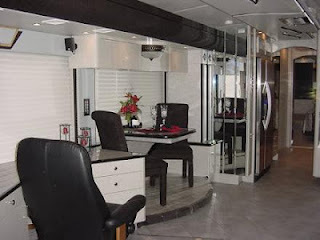 to make cruises more beautiful it is better to have more beautiful hotel that provide relaxed in night with peaceful sleep as equipped with every kind of luxurious facility visit hotel Ram Singh PALACE while travel to India.